The Water and Sewerage Department has issued an advisory for consumers to begin storing water ahead of the Tropical Storm Isaac, which is forecast to affect the British Virgin Islands on Thursday. “Please do not wait until Wednesday to begin storing; utilise Monday and Tuesday into Wednesday to do this,” the department said. 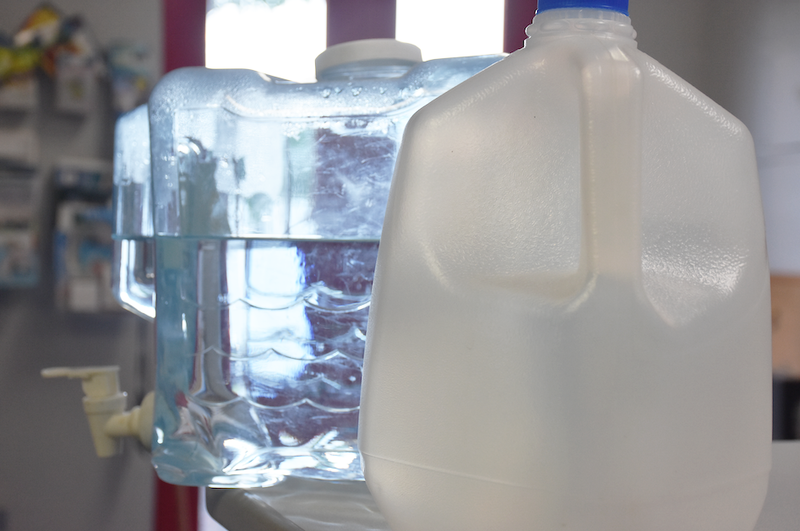 The department further said storage guidelines dictate that a gallon of water is required per person daily. Persons are advised to have at least a three-day supply but Water and Sewerage said it recommends having a five-day supply ahead of Isaac. “Also, please consider your hygiene (bath) and sanitary (flushing toilets) needs. We also encourage everyone to do their laundry by this Wednesday afternoon,” the department said while also advising that persons ensure their emergency supplies are intact. “Monitor the weather and keep in close contact with DDM’s regular updates. Let’s each cast an eye on our neighbours and where you can please assist each other – before, during and after,” it added. Isaac is expected to pass some 206 miles south of the BVI as a tropical storm. If it does anything at all, Isaac will probably dump water on the BVI. So that seems very weird advice. Thanks for notifying the residents about predicted storm. It is sad that water cooperation decides to starve parts of the country like Sea cows bay and environs of water for over one week despite the necessity .God will have mercy protect all of us. The operator and people in the department were informed without finding solution to this pressing problem.This has been happening from time to time. How can we store water in Sea Cows Bay if they just turn it on when they feel so last Monday turned on in two hours with low pressure can’t even full my containers for 8 years nobody cares for us resident of Sea cows bay and they advising to store water.